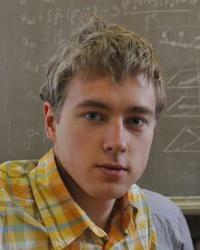 Veniamin is a PhD student of the faculty of Mathematics and Mechanics. 1.V.N.Blinov, V.L.Golo “Acoustic spectroscopy of DNA in the gigahertz range”, Phys.Rev.E, Vol. 83, Issue 2 (2011). 2.V.N.Blinov, V.L.Golo, A.A.Kireeva, K.V.Shaitan “Modelling of the DNA liquid crystalline phases”, Nanostructures. Mathematical Physics and Modelling Vol. 2, Issue 2 (2010) [in russian]. 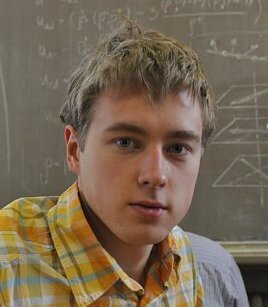 3.V.N.Blinov, V.L.Golo, “Hyper-sound as a means for generating inter-strand defects in a duplex of the DNA”, contact.arXiv:0908.1852 (2009).